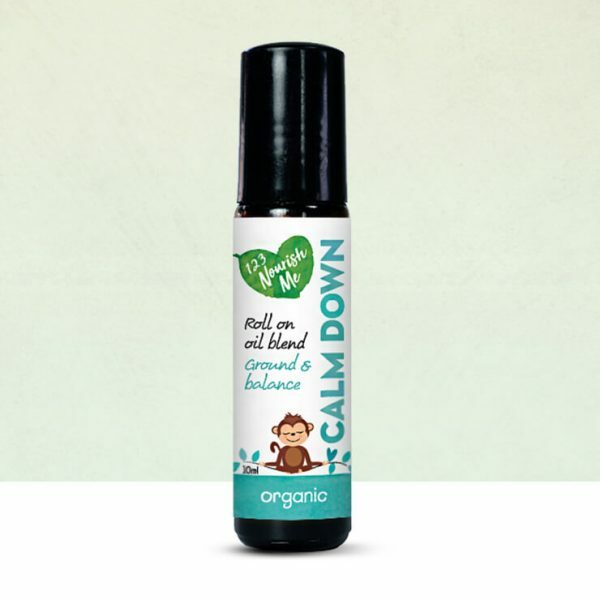 Calm Down Organic Essential Oil Roll-On provides stress relief and relaxation in a beautiful stainless steel and glass roll-on application. The essential oils in this blend are known for their ability to decrease anxiety and induce wellbeing and calm. 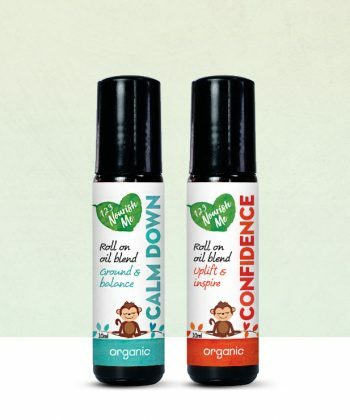 What’s in Calm Down Roll-On Essential Oil? Mandarin Essential Oil is one of our faves and can be used as a nervous system relaxant and sedative to calm the senses in times of stress. Although the oil is a common sedative, its sedating action is more prominent in relaxing and calming nervous afflictions and disturbances. Amyris oil has antiseptic, sedative, decongestant and emollient properties. It is beneficial for helping calm your mind and muscle relaxation, as well as minimizing stress and tension and releasing anxiety. This herbal oil helps in improving mental clarity and makes you feel at peace. We love geranium as it elevates mood and balances hormones and it’s also fabulous for stress relief. Jasmine essential oil calms down the body, mind, and soul while bringing forth positive and constructive emotions. It gives relief from anxiety, stress, annoyance, anger, and depression as well as from inflammations of all sorts. Nothing short of enchanting! Buddha Wood essential oil is moderately viscous, pleasantly aromatic, and full of character. Adds a unique assemblage of elaborate sweet woody, smoky, earthy, leather like notes to natural perfume, meditation and incense blends. Used for relaxation and as a sedative. The aroma of rosemary alone has been linked to improving mood and clearing the mind. It has a calming effect on those who suffer from chronic anxiety and depression and is a beautiful oil for mental clarity and concentration. We absolutely love our calm down roller. Having two little boys, one who has anxiety, it has helped us greatly. Both boys know when they are feeling overwhelmed to apply their roller and we have noticed great results. Couldn’t be happier. Smells wonderful, although I would like an adult version that is a little stronger. I roll it on when I feel a hot flush coming on , it has definitely helped to reduce the severity of the flushes. Absolutely amazing. My daughter sleeps at night again., no more getting up in the middle of the night worrying about things. It also helps with my mild anxiety. Highly recommend this product! Love the calm down oil. For the whole family. Smells divine and works a treat. Love that the kids know exactly when they need it. BEAUTIFUL. I wish I didn’t wait so long to order.! I am very happy with the product. It really works wonders in calming me down. I highly recommend this to my friends. My son asks for the calm down oil when he is feeling frustrated 🙂 It’s lovely, I wish the scent would last longer. Im so happy I added this little gem to my Magic Sprinkles combo this month. I suffer anxiety and this helps me deal with the times of stress which often triggers my anxiety . Smells fabulous. This product is my favourite!! Works a treat!! I have it on me at all times. Not only does it help calm, it also smells great. I purchased this for Master 7 with ADHD, seems to help him a LOT to calm himself when he is wound up. Thumbs up 123 Nourish Me. Am absolutely loving this product! I use it on Mr 6, Mr 3 and myself. I can not wait to get another one to have in my hand bag. Lovely scent and very calming. Great size for handbag. 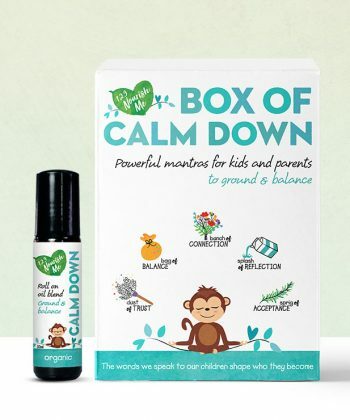 My 10 year old son suffers from anxiety and is about to head off to his first school camp… I decided to give the calm down oil a go in the lead up to him leaving and it has been a life changer for him!! He has been using it before bed as he often get worried at bed time whether is a noise he heard or just the day playing over in his little head. He has been settling much quicker than he usually does and sleeping through the night. He loves that it is his own little roll on and can be popped into his pocket to use whenever he needs it. 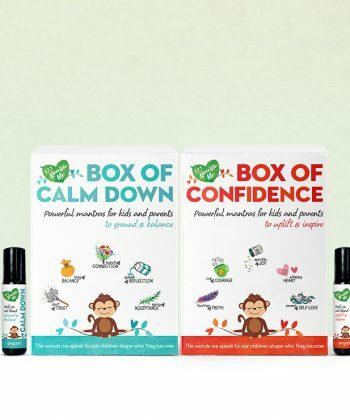 As a mum, we all worry about our little ones and I can honestly say that I’m feeling much more confident to send him to camp knowing that the calm down oil can go with him!! I just have to buy another one for me now. Thank you 123nourishme for another fabulous product! Just beautiful. It smells lovely & I can feel myself relax instantly. Thank you. Perfect to help my ADHD son calm down. Another wonderful product from the 123 Nourish me goodies! Our little girl loves putting on her calm down oil with her mummy in the morning. It’s been a big help in feeling calm before we start the day & works super well with our sleepy balm at night. We carry it with us everywhere. Smells beautiful too! The calm down roller during the day teamed with Sleepy Head balm at night is making for a much less anxious little boy and he is asking for both products now daily. Absolutely love these products and can’t wait to try more in the future…Thank you 123 Nourish Me! We can’t get enough of the new 123 nourish me calm down oil! My eldest child (4yrs) has anxiety and this oil helps her to calm down. We use it during the day and as a part of our bed time routine along with our much loved sleepy head balm and oil (used on a diffuser braclet). Thank you for a lovely product! !